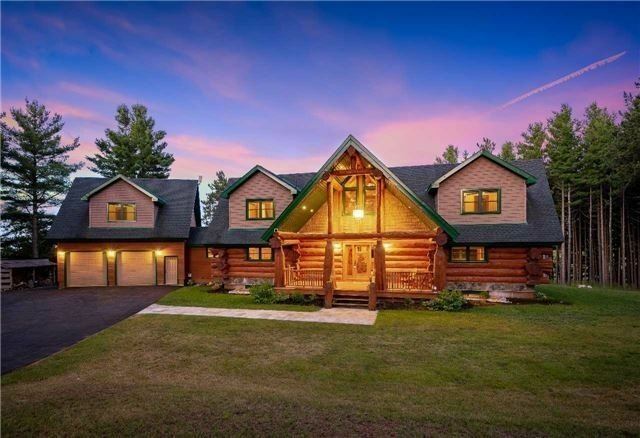 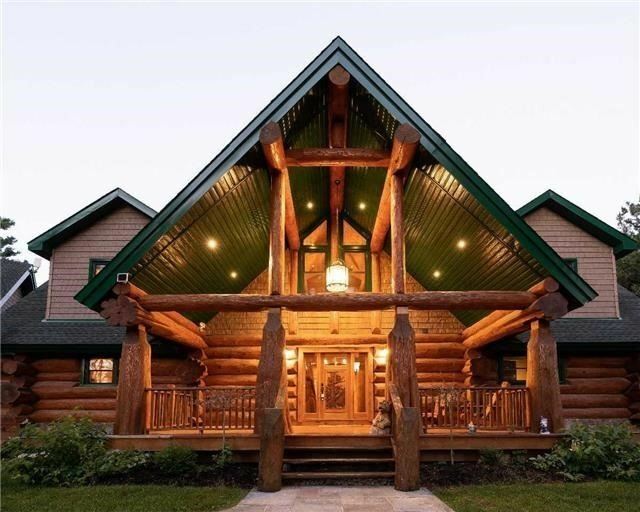 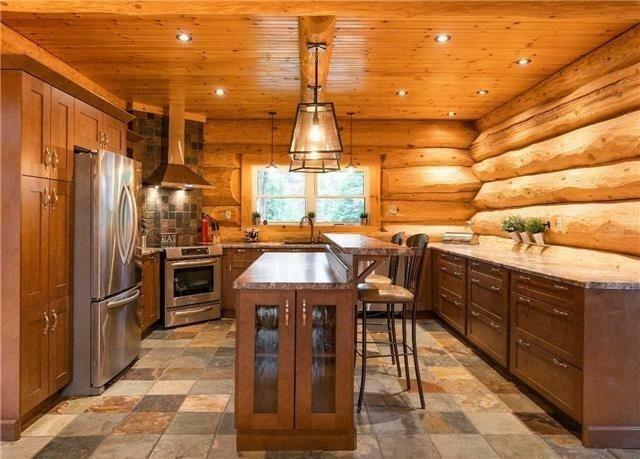 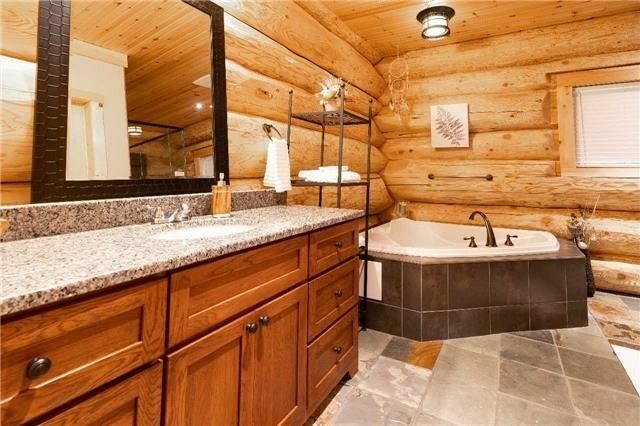 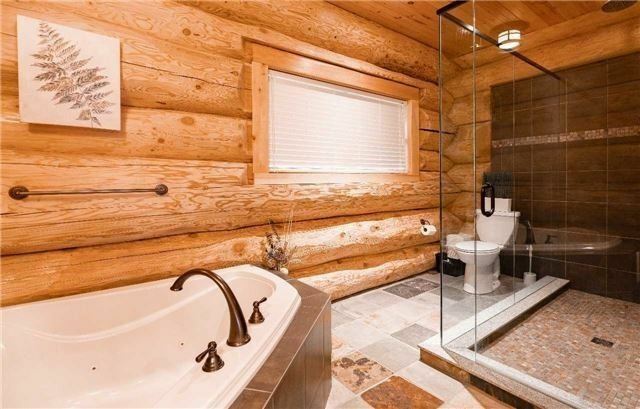 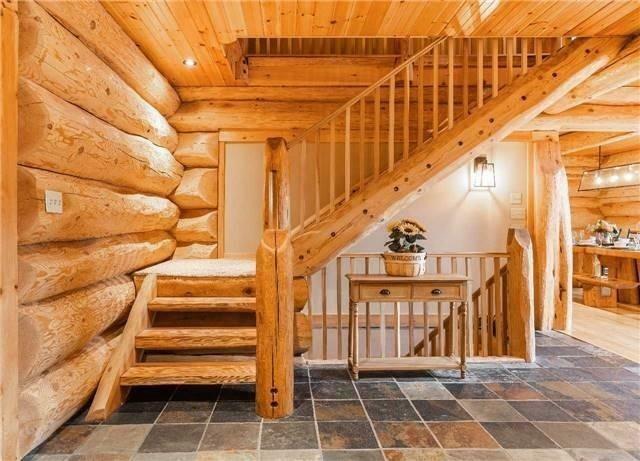 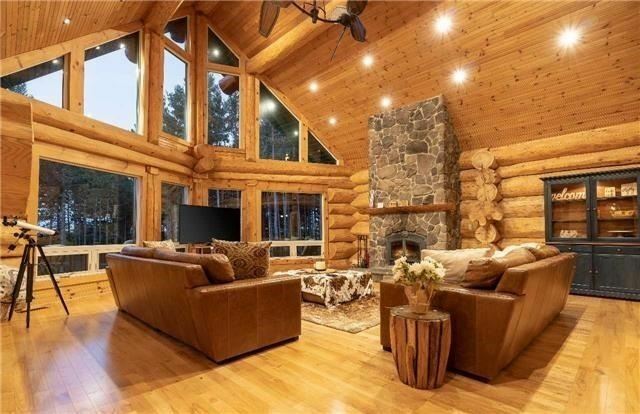 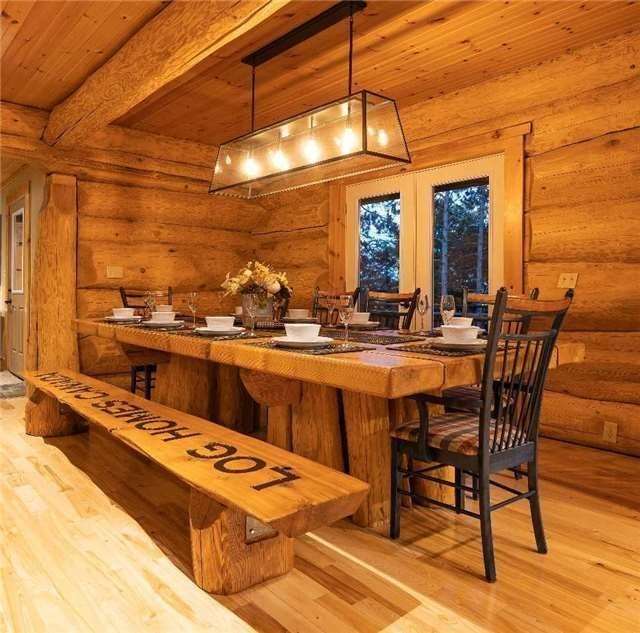 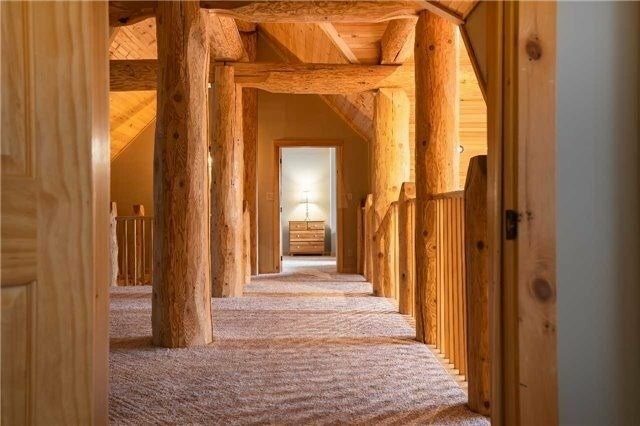 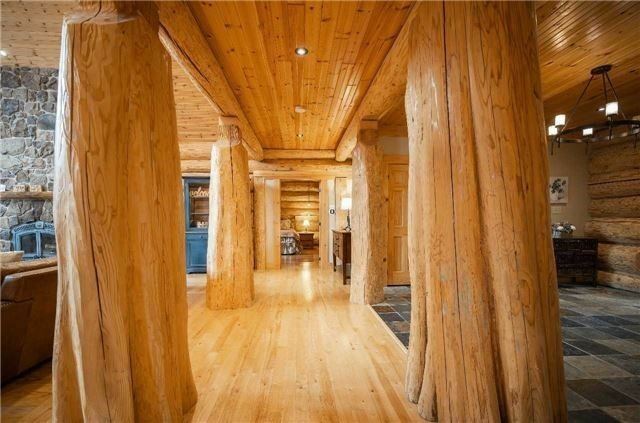 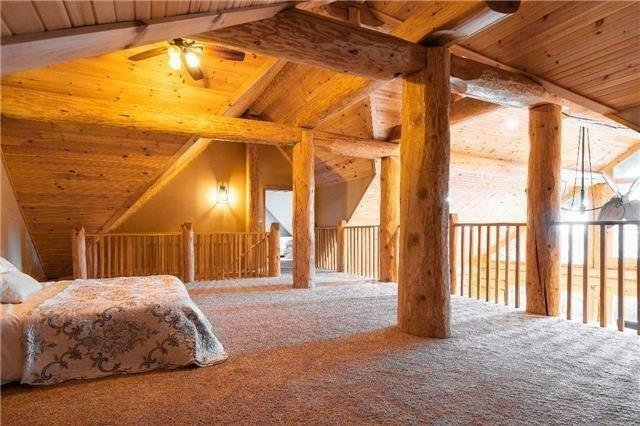 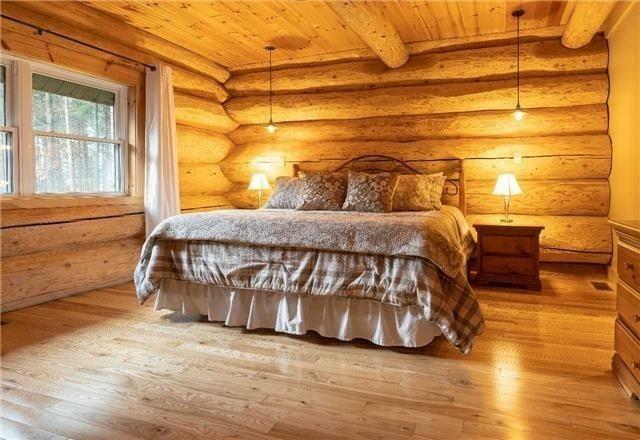 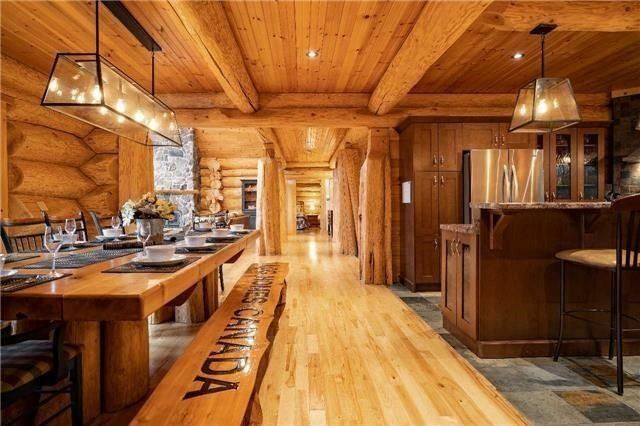 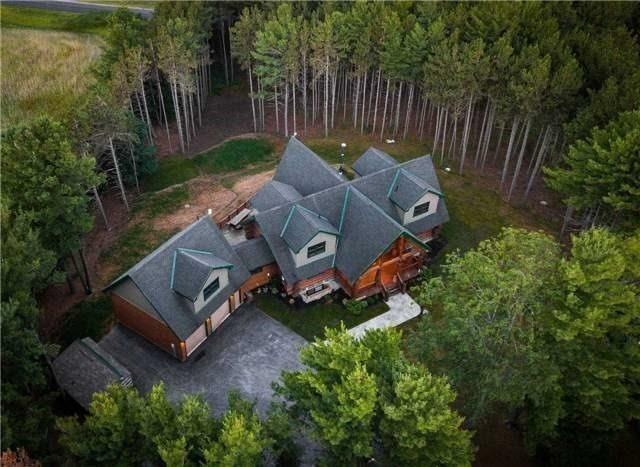 Description The Moment You Walk In To This Breathtaking Log Home Becomes An Instant Moment Of Awe. 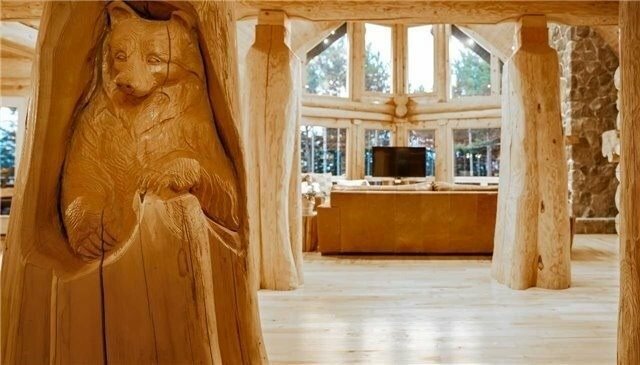 True Masterpiece Of Design Craftsmanship. 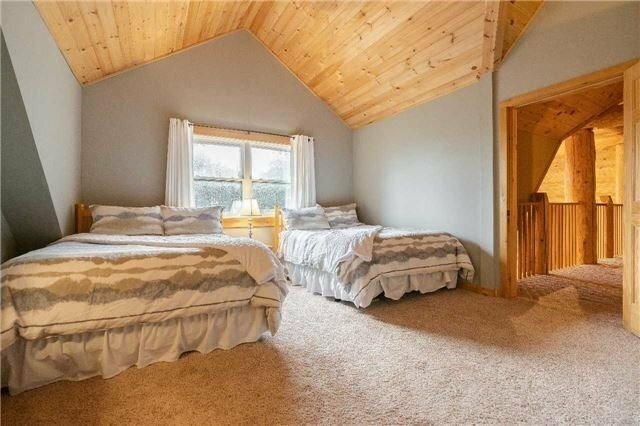 The Home's Open, Airy Layout Is Graced By A Soothing Natural Light Flow Thru-Out. 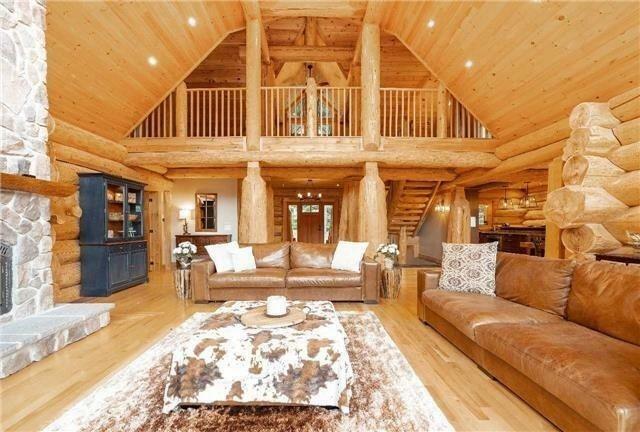 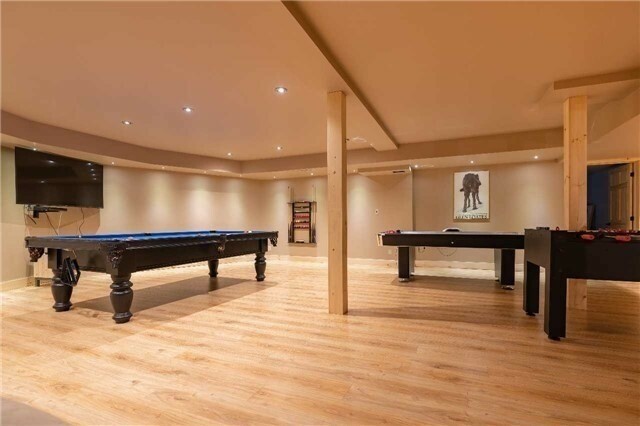 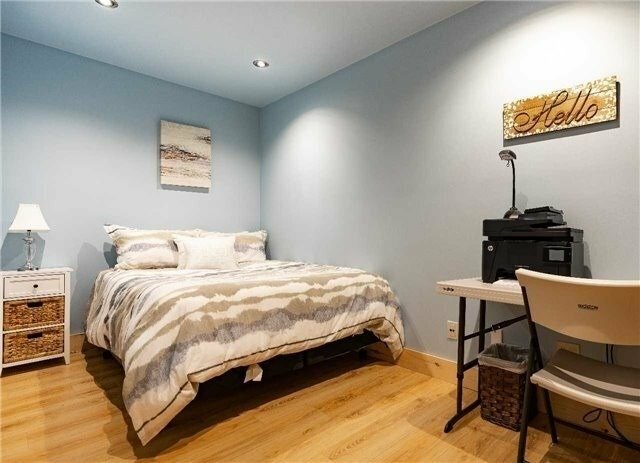 In The Centre Of It All Is The Stately Great Rm With Towering Flr To Ceiling Windows. 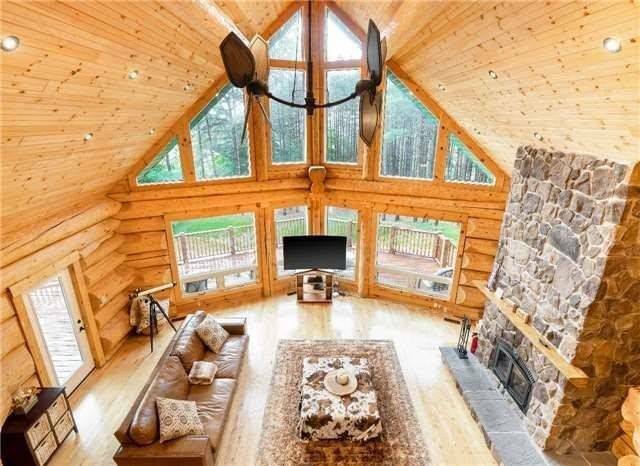 Majestic 21' Cathedral Ceilings & Exquisite Stone Fireplace That Converge To Produce A Magical Aura That Forges The Perfect Setting For Relation & Entertainment.